Examples of NEW PARADIGM Splitting and Pairing Accelerated MASSLESS (Micro) Black Holes. : Could Zero Point Electric Energy (ZPEE) of small dual black hole energy systems save the world? Could Zero Point Electric Energy (ZPEE) of small dual black hole energy systems save the world? The exhaustion of earth’s resources, the criminal financial system, consumerism, overpopulation, poverty, corporate and personal greed, have brought the earth in great danger. The only way out, seems to be a dramatic but radical change of all these subjects. However what radical change, should save us and prevent chaos and a third world war? My only guess is Free Zero Point Electric Energy (ZPEE) Vacuum Energy by New Physics, based on Birkeland/ Alfven electric currents found around the earth and galaxies, adapted to local/ regional scales of use. As a consequence all physics intelligence power and finance should be much more focussed on so called “Energetic Blind Spots” in physics and astronomy on local and universal scale. A: There is still no serious world wide coordinated research on Ball Lightning and Earth bound micro Comets going on! B: Physicists are still guessing about the real origin of the magnetic power of Sunspots! C: The energetic origin of Comets is a mystery, though the research on Comets is taken more serious in the last years. Secondly we have to think about new political structures to be able to change the base of world scale ZPEE electricity based food production techniques, earning models and law, to create a democratic Sustainable SUPER SOCIAL SOCIETY. Only supported by free local/ regional electric vacuum energy, the world will be able to produce local food even in deserts, by influencing the weather/climate conditions by global air conditioning, and to build a world federation of stable local societies governed by computer aided management of production and consumption. If we are able turn to the deserts by weather/climate change into fertile land, the world should be able to feed a multiple number of inhabitants under the sun, than we have now. It is an ongoing debate between physicists what the origin should be of the well known polar Birkeland currents and so called electric Alfven circuits measured around earth and around galaxies. If we have found the origin of these electric circuits, we probably have also found the origin of several other energetic mysteries on earth and in space, as there are; Ball Lightning, Earth bound Micro Comets, Comets and Sunspots. 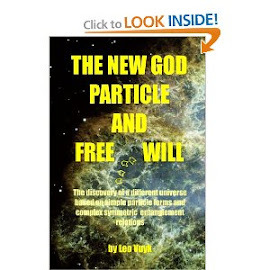 The so called Electric Universe Theory has uncovered lots of important cosmological facts around this issue. However even this theory does not have a clear physical answer about the origin of these electric currents. Could it be, that beyond the standard model there is room for an extra role of dark matter and black hole physics? Matt Strassler wrote about black holes: Why has the controversy gone on so long? It is because the mathematics required to study these problems is simply too hard — no one has figured out how to simplify it enough to understand precisely what happens when black holes form, radiate particles, and evaporate. Sunspots, Comets and Ball Lightning. Could sunspots, comets and ball lightning represent a new kind of Quantum Knots or Dark Matter Black Holes of different sizes, as the origin of those electric currents, or do we have to look for larger scale sunspot resembling objects? Solar energy output is now understood to be a result of a dynamo mechanism within the sun, converting the energy of plasma flow beneath the surface of the sun to magnetic energy foci on the surface that are observed in the form of sunspots. The electric universe theory by Wallace Thornhill and David Talbott. ( Thunderbolts) “Electric Sunspots” by Wallace Thornhill and David Talbott. “a synopsis of the electric universe” by Wal Thornhill. The Origin of Sunspots - A New Hypothesis, by Ackerman, J.
Sunspots are not the result of convection of gas modified by magnetism. Sunspots are electrical structures. “Are Sunspots made of gravitating Dark Matter Black Holes? (My own contribution). Universal Dark Matter Black Holes. Recent evidence for polar solar hotspots found by the IceCube experiment as telltale for Solar Anchor Black Holes (SABHs)?. Could this be one of the telltales (the southern) of a Solar Anchor Black Holes?